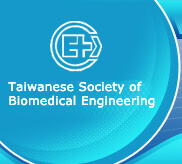 The name of the Society is “Taiwanese Society of Biomedical Engineering”. The aim of the TSBME is to conduct academic research in medical and bioengineering, to promote technologies of biomedical engineering, to further improve scientific progresses, and to elaborate capabilities of healthcare industries for ultimately being beneficial to all human beings. The headquarter office of TSBME is located at the same place as that of the central government of the Republic of China. The branch society of TSBME may be established under the approval by governmental authorities. The working organization for the branch society shall be drafted by the TSBME board members of the committee and be executed following the approval of governmental authorities. The mission of the Society is as follows. (3) To provide continuous educations, trainings, and professional certification for biomedical engineers. Article 6. The category, qualification, obligation and Right of the TSBME membership are as follows. The TSBME membership is categorized as follows. Those who fulfill with one of the following requirements and are recommended by two TSBME members may apply for the individual member of the Society. The membership will be granted after the approval by the board meeting of the working group committee. (1) Those who obtained a degree in biomedical engineering or associated departments from a university/college in Taiwan or other countries. (2) Those who graduated from a university/college in Taiwan or other countries, and also worked in the biomedical engineering associated fields for more than one year. (3) Those scholars and professionals who have engaged research in biomedical engineering associated topics. (4) Those who contributed in promoting biomedical engineering. Those institutions, universities, companies, factories, or other academic bodies may apply for the institution/group member. The membership will be assessed and approved by the board meeting the working group committee. Each Institution/group member shall assign two representatives to attend any TSBME activities. Those full-time undergraduate students, major in biomedical engineering and associated departments and are older than 20 years old, are eligible to become student member. The application of student membership requires two letters recommended by two members of the Society following the approval by the board meeting of the working group committee. Those graduate students may apply to be either a Student Member or Individual Member. Those who have an extraordinary achievement in promoting biomedical engineering may be honored as honorary member. The honorary membership will be approved by affirmative vote from at least two-thirds of members of the working group committee attended the board meeting. Members of TSBME should following obligations. (1) To comply with the bylaws and resolutions of the Society. (2) To hold a position and obligation designated by the Society. (3) To regularly pay the membership fee. The rights and membership of those who do not pay for the membership will be suspended. The rights for members of the Society are described as follows. (1) Individual and institution/group members own the rights on speaking, voting, election, and to be elected. The student member is limited to the right of speaking. (2) The members may apply for the credit of continuing education. The membership shall be terminated if members violate the bylaws and jeopardize the reputation of the Society. The decision of membership termination shall be suggested by the board meeting of the working group committee and be executed the general assembly of the Society. The general assembly shall be the highest unit among other organizations of the Society. The board member of the working group committee shall be a deputy organization for the implementation of the Society during the adjournment of general assembly. The council of the Society shall consist of twenty-one board members and five backup members elected in the general assembly. The supervising council shall consist of seven supervisors and two backup supervisors elected also in the general assembly. A number of seven executive board members of the council shall be elected by ballot. The president of the Society shall be elected the ballot from those executive board members. The Vice President (VP) of the Society shall be nominated by the President and then consented by general members of the council. A quorum for the Vice President shall be no less than half of the board member of the council. The supervising council shall elect one executive supervisor by ballot. Those who used to serve as president of the Society shall be the Honorary President, and who may attend the board meeting of the council. The board members of the council shall propose reference candidates for the next term of general members/supervisors of the council. The general members/supervisors of the council may be voted by mail. The mailing election cannot be carried out for each term continuously. The procedures of mailing election shall be proposed by the meeting of board members of the council and then executed after a report to governmental authorities. The board members/supervisors of the council hold a two-year term, and they shall be eligible for re-election. The quorum for those re-elected board members/supervisors shall be no more than two-thirds of members of the council. There shall be no more than four board members and two supervisors elected from a single institution (e.g. school, company, or research institute). The President of the Society may be re-elected for another term only. The Board members of the council shall establish various working group Committees of the Society. The organizations shall be further arranged. The following working group divisions of the Society shall be organized. The Academic division of the Society shall be responsible for coordinating the academic activities, compilation, and publications. The Professional certificate division shall be responsible for promoting all professional certificates issued by the Society. The Service division shall be responsible for membership recruitment, societal organization, education and training, contacts and collaborations with other societies and organizations, and promotion for the technologies of biomedical engineering. The General Affairs division shall be responsible for documentation, general affairs, accounting, cashier, maintenance, and works that have not been designated to other working divisions of the Society. The officers of the Society shall appoint one Secretary general, one deputy secretary general, four Chiefs of divisions, and several staffs. Those personnel shall be appointed following the nomination by the President and approval by the Board members of the council. They shall carry out regular affairs determined by the board members of the Society. The meeting for the Board members/Supervisors shall be held once every four months. The executive Meeting, Interim Meeting, and Joint meeting of the Society shall be held for the necessity. The meeting for General assembly shall be taken place once in a year. An interim General Meeting of the Society shall be proposed by the meeting of board members or by one-fifths of members of the Society. The sources of funding, standard of membership fees, and financial report are as described as follows. - The admission Fee for a new institution/group member shall be waived. (3) Those domestic and overseas individual members pay for the one times fee of more than 12000 NTD and 600 USD, respectively, may waive their admission fee and annual membership fee. (4) The admission fee and annual membership fee for the student member shall be half amount of the individual member. The statement of financial status shall be report to members of the Society during the Annual Meeting of the general assembly. All funds and assets of the Society must not be transferred to an individual or private enterprise when the Society is dismissed or revoked. All assets must transfer to the Autonomous body or government. Any additions or amendments of the Bylaws of the Society shall be proposed by the general member of the council and then submitted to general assembly for determination. The bylaws of the Society shall be firstly approved by the General assembly and then submitted to the Ministry of Interior for approval prior to be executed. The same procedures shall be followed when the bylaws is to be modified. Copyright 2015 © Taiwanese Society of Biomedical Engineering .All Rights Reserved.